Following a research and petition by the Raoul Wallenberg Foundation. Katina and Ioanis Perakis, of Piraeus, and Mrs. Dimitra Dimopoulo, of Athens have been officially recognized as Righteous among the Nations. During the dark days of the Holocaust, these rescuers gave shelter to two young Jewish siblings, Moise Battino and Esther Mallah. The posthumous award will be handed over to the living relatives of the rescuers at the Israeli Embassy in Athens, at a date to be determined. Back in April 2015, Moise and Esther were interviewed in the house of the former, in Miami, Florida, by Dr. Mordecai Paldiel, Chief Historical Advisor of the Raoul Wallenberg Foundation and by Harry Zvi Kichel, a senior voluntary member of this NGO. Hereunder are the excerpts of their story. 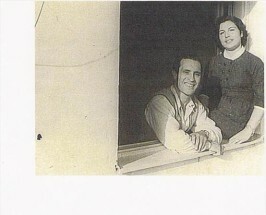 Moise Battino and Esther Mallah were both born in Piraeus. Moise in 1933 and Esther in 1929. 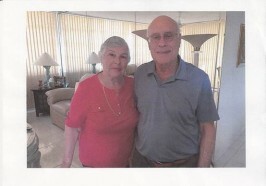 Their parents were Solomon and Rebecca Battino, both perished in Auschwitz. They had three sisters, all of them deceased. Stamo Mevorach (born 1925), Rita Modiano (born 1926) and Kelly Gavios (born 1928). Pre-War photo: Left to Right: Father Salomon, daughter Esther, Mother Rebecca (holding 1.5 year old Moise), Isaac Medini, daughters Stamo, Rita and Kelly. Although they were originally from Piraeus, both Moise and Esther lived in Athens during the war years. Under the German occupation, all Jews were required to register every Friday in the main synagogue. Father, Solomon, refused to do so many times. Nonetheless, in the eve of Pesach 1944, persuaded by a friend, he went to register and pick-up some Matzas for the holiday, together with his uncle, Isaac Medini. Unfortunately for them and all the other Jews who showed up, they were arrested and imprisoned in Haidari camp to be later deported to Auschwitz. Solomon was murdered in the gas chambers, upon arrival to the camp. Isaac was selected for the Sonderkommando and was killed during the uprising that took place in October 1944. Esther and Moise were left with their mother and two of their sisters – Rita and Kelly. The eldest one, Stamo, had joined the ranks of the Greek underground. 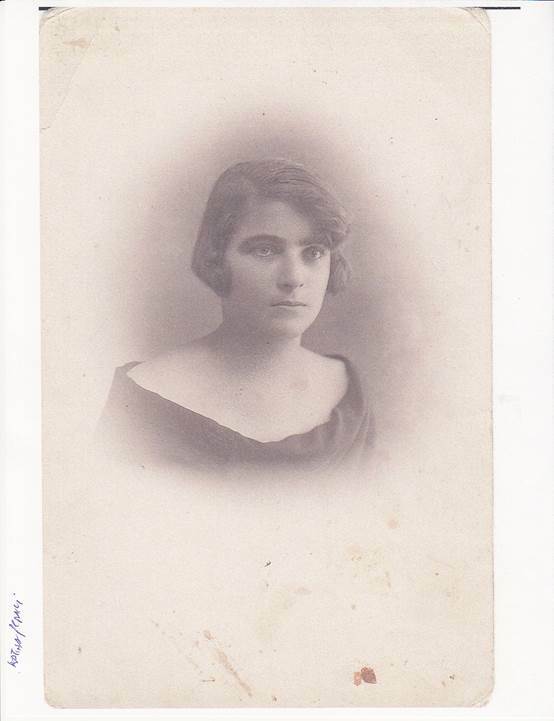 Eventually, she was imprisoned in Athens, then deported to Auschwitz, but managed to survive the war. Following her father’s arrest, Esther left Athens for Piraeus, together with her mother and two of her siblings. At first, they found shelter in an inhabited house. From there, Esther moved into a house of a Christian family, the Dimopoulos (mother Dimitra and her three daughters, Nina, Kelly and a third one whose name, Esther does not recall). Esther stayed there from around April 1944 until when the Germans left Greece. While there, she did not attend school and she used a false name: Loula Avyerinou. This false ID was arranged by Solomon prior to his deportation. Moise and Esther, after the War. Esther says: “The Dimopoulo family was good to me and I remained in touch with them after the war until I left for Israel, in 1949”. Mother Rebecca (originally from Turkey) remained in Piraeus with Rita and Moise. Esther used to visit them secretly from time to time until I was informed that they had been taken away by the Germans, as they have been anonymously denounced. They were taken to Auschwitz in August 1944, on the last transport. Mother perished there. Rita was selected for labor. She then spent some time in Dachau and managed to survive the Shoah. After liberation, Kelly came back to their former house in Athens that was occupied by refugees. The police evicted them and the Battinos moved back into their home. Moise tells us that even before the arrest of his father, they occasionally left their Athens home to stay in hiding places. When Solomon was taken away, some people came to Moise’s school and told the pupils to disperse. Moise went home and then headed for Piraeus, were he found shelter in several unoccupied homes. When Moise’s mother and sister were arrested in Piraeus, around August 1944, he happened to be in the streets, selling cigarettes and sweets. As usual, he went back home at 9 pm, but nobody was there. Then a Greek neighbor told him to leave as the Germans might return and grab him. 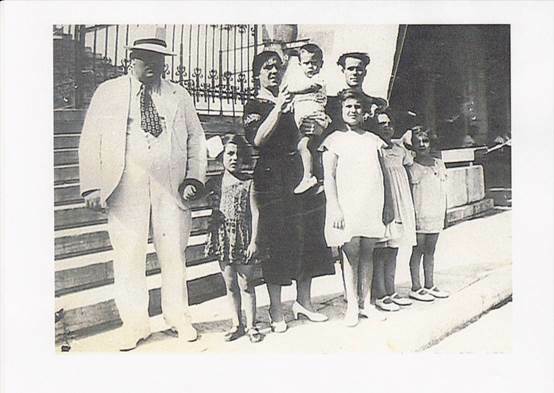 Moise remembered that the Perakis family (Katina and Ioanis children Dionisisios, Zouzou, Maria and Lazaros), lived nearby and they were friends of his parents before the war. The Perakis took Moise in. Under his new name, Mimis Avyerinos (that his father had earlier provided to him), he was able to attend school. Moise stayed with the Perakis until the Germans left Greece. During the research, the Raoul Wallenberg Foundation staff got in touch with Mr. Christos Latianotis, grandson of the Perakis and with the latter’s daughter, Mara. Eduardo Eurnekian, Chairman of the IRWF released a short statement: “Ioanis and Katina Perakis as well as Dimitra Dimopolou were simple and decent people who turned into heroes by making the very hard choice of reaching-out to those in need. Until recently, they were anonymous. We are very proud that we were able to unearth their story of courage and civic solidarity. We are happy to have been able to acknowledge their humanity and to have helped in their well-merited recognition. Above all, we are delighted to instill their feats in the young generations”.